Genève-Cointrin is the nearest airport (60 minutes). The Zürich Unique Airport is located 2:30 away by train. 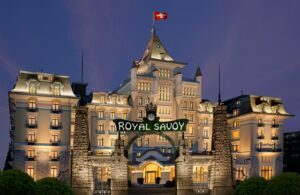 From these two airports, you can take a train to Lausanne railway station which is close to the Hotel Royal Savoy Lausanne. Daily passes at CHF 20.- are available at the reception of the hotel.